I am not brand new to this hobby, but new..and I learn very fast. Just in these first few months, I have achieved a very good sound stage; one that is “3D”…and extends past my speakers by about 4’, has about 8’ of depth, 8’ of height, and sounds come out in front of the speakers several feet; sometimes coming from “behind me”. I look forward to continued learning here and overall agree with many of the techniques being employed here. Well Done! Speakers: Epos Epic 2, Epos ST15 stand, AudioQuest Rocket 33 8' speaker cables. Analog Source: Rega P1 turntable w/ Ortofon Red 2M, Cambridge Audio 551p Phono Stage. Digital Source: DAC: PS Audio NuWave connected via XLR Audioquest King Cobra, Macbook Air 2014 via OEM usb cable to DAC. Measures 10' wide by 14' deep by 7.5' high. It is carpeted, and open on the left side with three walls on remaining sides. The right wall also has a sliding glass door which is covered completely with vertical blinds when listening. There is a large couch behind my listening chair, three glass and metal end tables and a floor lamp next to the couch. There is one more framed work of art hanging above the couch on opposing wall. No other furniture other than what is pictured. I currently have the speakers about 6.5 feet apart, and 2 feet from rear wall. I sit in the typical triangle again 6.5 feet apart from the speakers. They are also toed in. Creek Integrated: Per Michael’s advice, I have clipped the cables free from the sides of the metal box, allowing them to float in the air and separated and straightened where I could. I have placed it on for now 2 long wooden blocks (not shown in picture), but I am looking to replace the stand-in blocks I had laying around with three spruce or possibly cedar or other material blocks as I learn more. Power: I took the AC outlet where it is plugged in and unplugged that from the wall and straightened those wires out and separated them as much as possible. As an intro, Ron has been posting on the Stereophile Forum and from very early on I thought he might enjoy TuneLand because of his already explorations. Have fun on Tuneland Ron and hope you get a chance to make new friends, and of course a chance to explore the tune as far as you wish. Sonic is very curious about how you achieved the soundstage you got -- projected images and sound beyond your speakers -- in a room that is open on one side. Also I would also like to learn of your experience of using the MacBook Air as your CD player instead of an audio player. What is the difference in sound when using a computer as a player compared to a CD/DVD player? Welcome to the most unique audio forum every Ron. The more I read the more I see the value of having a person like Mr. Green sharing from his experiences in not only the hobby of listening to music but also the depth of knowledge in the recording and construction industries. We (my wife and I) have had as much fun researching Mr. Green as we have listening through the method of tuning. We also read the Stereophile forum and am a little confused by your posting there. Hopefully the method will become more clear to you as you spend time tuning your system. I'd like to leave you this quote from our listening. IMO I feel your being a little unfair on Stereophile maybe because you are new to this hobby. This is our listening not Mr. Green. Reading through tuneland has been teaching me about stereo for the first time. I thought I was in the hobby, but was only buying as MG says "fixed" sounds. What my system is becoming is past the hobby as we knew it. There's no turning back now. My Magnavox has replaced the Oppo. The Oppo sounds like a cheap toy next to the 2300. With the roomtunes in place we got the best sound ever but wanted to keep going (the wife is as music nuts as me). The 2300 is more open and more dynamic. The Oppo's have an artifical digital sound that I didn't notice till we turned on the Magnavox. My player search is over, thanks tuneland "
I only use the macbook Air as a digital front end to play FLAC files through software called Audirvana Plus. I actually haven't used a cd played in over a decade; however, I have just ordered an entry level NAD 516BEE and I will use my PS Audio NuWave as the DAC so I am just really after a transport. 1. overall carefully picked system components that compliment each other and sinking a little bit of money into the Integrated amplifier, DAC, and Audioquest cabling as described in my first post. 2. Room Tuning in the form of speaker placement.. I spent many hours getting my speaker and listening position into that critical 6.5' listening triangle for optimal soundstage depth at the slight sacrifice of optimal bass response; which I have read is quite a common exchange. So I just increase the Bass on my tone controls occasionally when needed. I also carefully adjusted "toe-in" to be immersed into the soundstage as much as can be expected. 3. 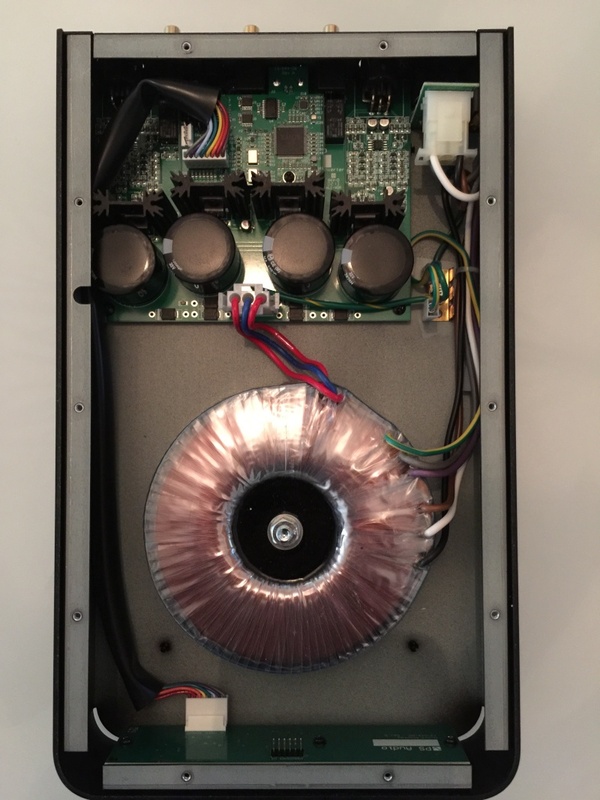 Michael has been instrumental in providing undocumented and significant improvements to my system through the kindness of many detailed suggestions from the forums of Stereophile. 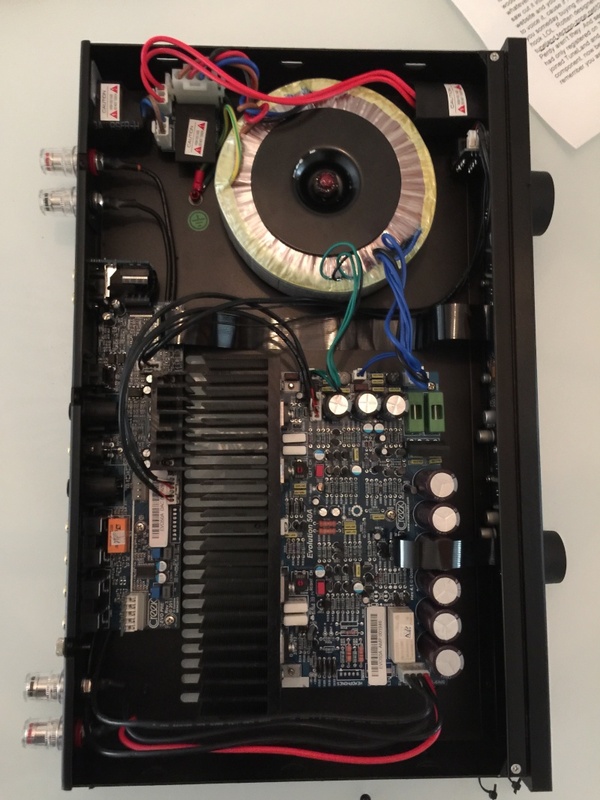 He has provided suggestions on how to internally modify my Creek amp, as well as even the wall outlet. That could be a reply all of it's own..though many of you here probably already know what I am talking about. 4. I can't believe I forgot this very critical part to achieving my soundstage with my equipment and room: VOLUME! I make sure the volume is between 90-100 Decibels..with 100 being only transient peaks; not constant, otherwise that would be too loud! I theorize I am able to get such a good sound stage with my largely unmodified and untuned equipment by more or less sort of leveraging theories of near-field listening; allowing the speakers and amp and dac to take over and do their engineering magic at these volume levels and 6.5' listening triangle. I have only just very recently achieved this soundstage and am very happy and excited with this hobby. I am also very happy to have found Mr. Green and this website and look forward to meeting new people who are almost as crazy as I am. lol. Yes... I took a rather opposing stance to the Magnavox over on the Stereophile forums as I wanted to challenge Michael and gain an understanding of how he accomplished what he did with the Magnavox. I have since learned that many listeners have done similar things to the unit and derived sound far beyond its manufactured specs. 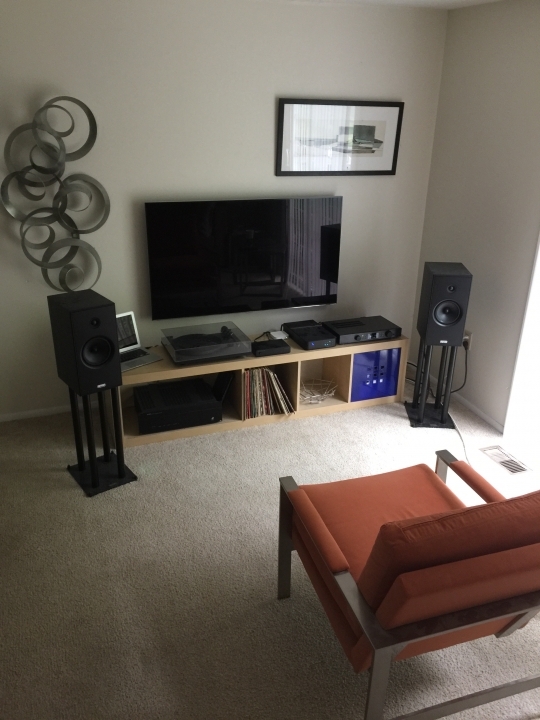 While I fully appreciate what can be done with that unit, I also must compromise to aesthetics as I only have my main living room as my listening room; and so I do not really have the option of modifying my equipment too heavily as I need it to sort of blend in with the decor. Never the less, I don't want my limitation to dilute the respect I have for Michael and many others for the technical achievements they have leveraged on such a basic unit and I am impressed. We'll get over this, but when me and the better half read you quote "this is like polishing a turd...you can work very hard and modify the design, but in the end, you're still just polishing a turd." it puts a bad taste in our mouth. I don't know how well you know Mr. Green or his background but there are recording artist and engineers who have said Michael Green is the best in the music business. I'm surprised how he soft sales himself and that he spends his time in the high end audio when he could be one of the great names in recording. From reading it seems he has a bigger mission in life and didn't see himself being stuck in any one part. Reading his writing you will see he talks about the whole. Very few people have this wide of a vision and be specific at the same time. Since we started down this path my wife and I have found what we have been looking for and our friends (all music nuts) now take over our music room when they visit . I've implemented even fewer mods than Ron in regards to Michael's suggestions for me and already I've experienced significant changes to the sound of my system! Having a musical wife (sings, plays guitar, lute, and violin) and son (piano), and experiencing the many changes they've gone through in terms of mods and repairs to their individual instruments, I can say that I understood Michael's approach to tuning sound, music, and the listening environment right away. It just made sense to me! Perhaps, one day when I can have a dedicated listening room, I can implement many more tuning mods to achieve the "Tune" that many here are striving for and many have achieved using Michael's methods. In the meantime, I too have to deal with a "living" room and a family! I think more than anything, the high end audiophile camp gets so clicky so fast, new-comers don't get a chance to reason through everything they're being told till they get some listening time under their belts. There's so many layers and levels to this hobby, and industry that you could, on the component side, stay in a compulsive product panic for years before getting settled into a method of listening. Hey, look at me, I had to own 5 high end audio stereo stores before I was able to truly separate the marketing from the hobby, and I am in the music biz . I'm still into the looks side, but that's a different hobby to me and I rarely show those systems as I get them, plus I get bored with them easily. I also think people misunderstand me and Tunees because they see all these components with their gutts laying all over the floor, and think I'm saying everyone has to do this to enjoy music, which is kinda funny maybe even scrary . I do what I do, because I can, and my clients/friends want to know how far their systems can go. If I didn't know about tuning, I would still have a system in every room. I practically lived in my first couple high end stores and did live in my 4th one. It's a very artistic hobby at what ever level, and after all these years I still enjoy hearing a system every step of the way, from start to finish. Nothing is more fun to me, and having the chance to have you guys to share with and learn from is paradise. I'm probably the worst poster on the Stereophile forum cause I just want to scream "GO LISTEN" or have a house that I could say come over and hang out for a few days. TuneVilla was that way, and I miss handing the keys over to the listener, and be around for them to have me do stuff, but more let them play. Of course I don't have that kind of energy anymore, and I'm selfish in the fact that I may not get to listen to every piece of music made. When someone takes up the listening chair too long, I sometimes think "hey my turn", especially if it's a listener like Herns, who can tune up a storm. If the name of the game were lifestyle for me and MGA didn't exist, this could be almost to the letter a system I could own. OH Yeah, I know your system well. Here's a picture of Roy (distributor for creek & epos) and the girls at the last CES. Your welcome And Ron should know that I think he has put together a fine system. 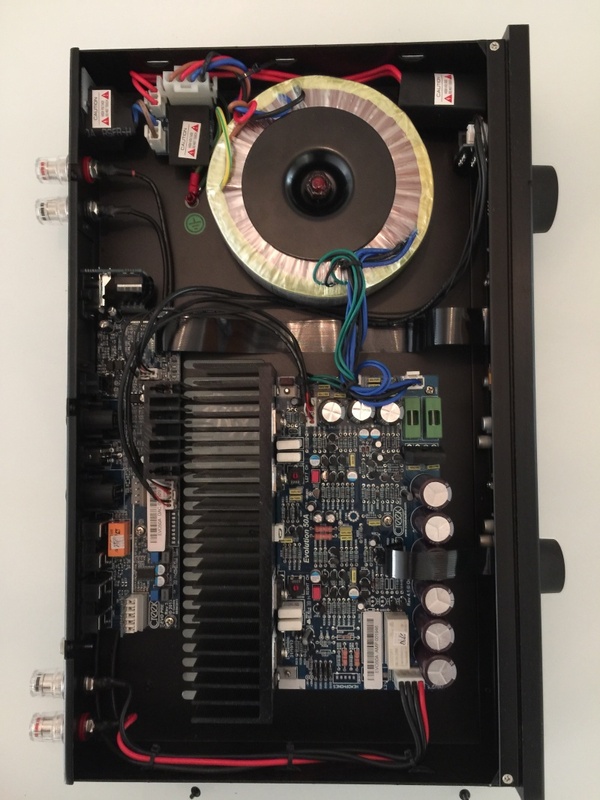 Slimline integrated amps are the way to go now that FM is not so big. I just wanted to extend a formal thank you for welcoming me here on Michael's forum. I just need to clear the air and re-state that I too respect Michael's experience and approach to audio. I think it is nothing short of brilliant, and Michael knows that I think that way; but nobody else here does, so I just felt compelled to state I agree with his methods; hence joining! I just ask that everyone please look past words taken out of a thread that was intentionally challenging and even called "The Devil's Advocate". Over on Stereophile, there is a vastly different environment, of which I actually tried to change to a more positive forum focused more on listening and sharing, but ending up just falling victim to it more or less. It is here where I hope to fall back again to just listening/referencing MUSIC and sharing our experiences about MUSIC without getting into arguments. I think I have found the right place. Here are before and after pics of modifying my Creek Evolution 50A Integrated with strong guidance and direction from Michael. In combination with placing the chassis on wooden blocks and opening up a wall socket and straightening the wires to get better "flow", my soundstage gained slightly more spaciousness and openness. I look forward to learning a lot more about this extraordinary hobby with like-minded, decent people who place music and sharing knowledge as high priorities. As for the "looks" of my system and labelled as "lifestyle", I hope Michael's not breaking my balls! lol. I really do wish I had a dedicated lab/listening room where I could take things to extreme levels and the extra time on my hands; but I must carefully weigh the aesthetics, which are important to me, with the time spent and modifications made. Nevertheless, I consider myself very open minded; especially coming from a rigorous scientific background. I look forward to more sharing and learning with the talented folks here. Thank you first and foremost for welcoming me to your forum! Looking forward to sharing more positive listening experiences and tweaks! What changes have you implemented? (or..direct me to your information here and I would be glad to read it). Thank you as well for your welcome... and interesting picture! I actually have spoken to Roy a few times directly...and have grown a strong loyalty and admiration for the man: he quite simply most of the time answers Creek's support line HIMSELF! I find that extraordinary in this busy world for the Founder of a large successful international company to be so personable and customer service oriented. A true gentleman. Thank you for the vote of confidence on my system! As with all, I am very eager to learn and would love to see everyone's own systems.. I guess I can search the forum, but you are more than welcome to reply with either a summary or a link to your own system. If it involves Rotel, which I am thinking that is a very strong likelihood, you have my respect already. As I have not owned a CD player in over a decade, and am awaiting my NAD 516, could anyone reply with some recommended CD's to purchase that should be a part of "every audiophile's collection"? I am very eager to listen to the Redbook format in addition to FLAC and vinyl I already enjoy. My musical tastes are fairly wide open, including: Rock, NuWave/Alternative, Classical, "classic" Jazz, "Smooth or modern" Jazz, Opera, Industrial, pretty much anything with the exception of Heavy Metal and its variants. Nothing against those who do listen to it! Everyone just can't like every style I guess! I also am a little adverse to Queen and Styx; as my brother just overplayed the crap out of them when I was growing up. lol. So... That's my "taste" after scanning through my small vinyl collection and large FLAC library. I hope some folks share some of these tastes.. I look forward to recommendations! - Michael suggested I get rid of the power conditioner, which I did, and he pointed out that I had too many components plugged into too few power outlets. I'm now using light-weight plastic power bars and plugging those into separate outlets. - I found some light-weight (birch?) 2.5x2.5x.75" squares of plywood which I've placed under my tuner, cd player, and phono pre-amp that seems to have made the most positive changes in the sound of my system and music. That's it for now, and even though it's quite minimal, I am pleased with way everything sounds! I'm looking forward to implementing more changes whenever I can muster the time and resources to do so. No I wasn't busting your b***s at all. It's a great looking system with great components, that will be fun to explore. I think I can speak for the rest of us when I say, you've come to the place where you can relax, put on the music and feel at home. Down in chat you can talk about topics on your mind, and in music you can give some of your own reviews on what you are listening to, and of course we all love to reference here, so that will be a lot of fun as well. It's pretty chill here, and we want you to take full advange of what these listeners have done, and they likewise will be checking out what your up to as well. PS a good list of music. I would say as you read through some of the threads you'll see guys listing their music as they go. Also if you haven't been yet, there are the tuneland archives www.tuneland.info there are a lot more listening articles there. I would recommend any writing from Jim Bookhard, as he got into a lot of detail. I have updated my original post with item #4 in response to sonic's very good question: "How did I achieve my sound stage?" 2. Room Tuning in the form of speaker placement.. I spent many hours getting my speaker and listening position into that critical 6.5' listening triangle for optimal soundstage depth at the slight sacrifice of optimal bass response; which I have read is quite a common exchange. So I just increase the Bass on my tone controls occasionally when needed. I must say though with very good source recordings, I find I can defeat the tone controls. I also carefully adjusted "toe-in" to be immersed into the soundstage as much as can be expected. 4. I can't believe I forgot this very critical part to achieving my soundstage with my equipment and room: VOLUME! I make sure the volume is between 90-100 Decibels..with 100 being only transient peaks; not constant, otherwise that would be too loud! I theorize I am able to get such a good sound stage with my largely unmodified and untuned equipment by more or less sort of leveraging theories of near-field listening; allowing the speakers and amp and dac to take over and do their engineering magic at these volume levels and 6.5' listening triangle. I see many on this forum attempting to re-design things...but maybe companies like Creek and Epos and PS Audio are onto something...if one just tunes them *slightly*, and cranks up the volume! So, I would venture to guess I sort of have had a lot of beginner's luck combined with exhaustive research in falling down the path of Creek/Epos/Rega, and was advised by a former Cornell professor turned audiophile to purchase the PS Audio NuWave DAC with massive analogue power source. While no doubt Michael's tuning methods and entire rooms surpass my system judging by the size of sound stages I hear reported, I feel with a little tuning, I can still achieve a "very good" sound stage by leveraging wise equipment and cabling choices with critical, key tuning recommendations per Michael without having to rip apart equipment, and cranking up the volume to realistic sound levels. I am going to also post internal pics of my DAC to show its serious construction next! 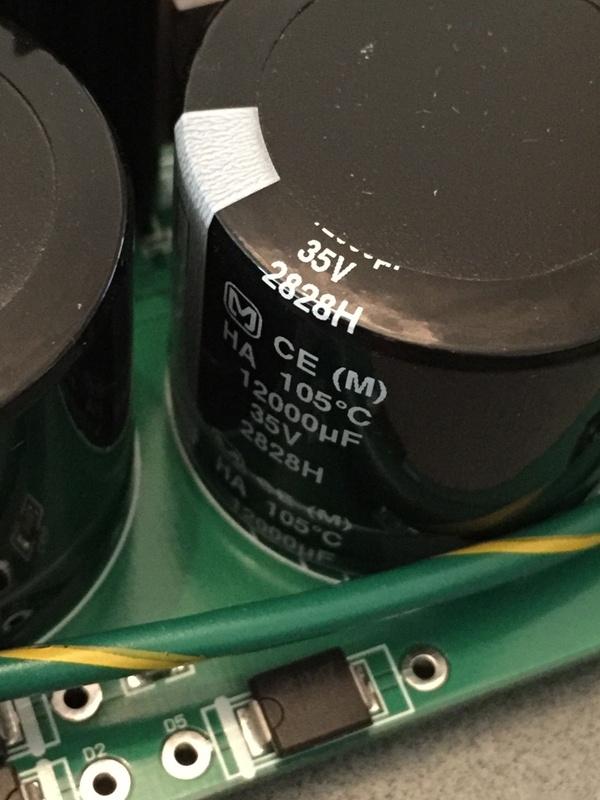 And here is a closeup of only ONE of FOUR massive 12,000 uF capacitors ...and yes, this is just a DAC! So I hope my somewhat unique approach helps others to see what is possible with a few wise equipment choices and just cranking up the volume can do to achieve a "decent" sound stage. Now having said all of this, it is in fact my goal to further tune the room.... but that will need to wait until Autumn when I again have some positive cash flow. Sonic has experienced too that the soundstage "forms" properly after a certain volume level is reached. However, peaks in the 90--100dB range is seriously loud because that would then mean your average levels (assuming an SPL meter is set to C-weighting, fast meter response) would be at least around the mid-80dBs range. Sonic measures my listening levels as part of my tuning. I generally listen with average levels in the mid to high 70dBs range for classical musical and around 80dB for jazz. Of course on the odd occasion I have played organ music and rock in the ranges you listen so I know how that sounds. These experiments have taught Sonic my room's dynamic response and the point which the soundstage "forms". Don't know if you have removed those cable wraps yet but when you do that will open things up more. Also see where the cable jumps from the board to the transformer? make those cables so they don't touch and bend them up so to get away from the chassis. You should do this with all wiring. To bad you don't want to go just a little further in regards to non-stock . See that transformer? Here's what I see when I look at the component. Will be interesting as you tune more how far you will go. Once you hear it, it's hard to not keep going. I think all of us at one time said "I'm not gonna change the looks that much, and then we hear that stage start to do magic, and it's a new ball game. Keep in mind, your not on Stereophile any more. Your in the land of the "tune" where listeners have truly been there and back. On Sterophile your approach may be unique, but on here your hanging out with the boys of extreme listening. There's some seasoned listeners here who you will get to know, from stock to extremely tweaked and everywhere inbetween. Some of us (like myself) will push you a little to see if your going to take the next step, and anothers who have found that spot in matching cables and components and stopped, so hopefully you will see a little bit of all the above being here, but my personal view is, plug and play is barely the starting gate. Where these listeners have gone is available to all, and there really isn't much left in the way of over turning stones, it's more about developing the method for you and finding the right guys who have been there, to be a guide for you. I know it must seem different going from Stereophile where they still live most of their hobby in the "IF", but TuneLand is a whole new ball game and has been around longer than the stereophile forum with these methods. The "IF" has been a thing of the past for over 25 years for us. I give you this talk only because I want you to be able to dig into the tune, not as something new and un-discovered, but with the foundation that started a long time ago, and spent almost all of it's (our, my) time weeding through the myths of high end audio as well as the pathes who proclaimed good sound. The debates of "if" don't happen here because so many have "done" and now spend their time on the path and most of all the music. For this reason as well you will see a lot of people who don't necessarily put their components in the center of the talks, but more a part of a much bigger picture. It's not a matter (for us) of how much equipment we have to get the job done, but more how to use that equipment wisely. First being simple electric, next the source, next the amp, and finally the room and speaker interaction, where the sound is made that you hear. Our components are mostly electrical/mechanical voicing machines passing the signal, and not looked at in the same way much of the industry does. Likely when someone asks us what our system is, it's not the same lists given in the typical high end setting. It's much more based on the tools as part of the components as much as the components themselves (in many cases more). We on TuneLand know we are not hearing the component. What we hear is sound pressure, and this pressure is our main focus. The rest of the ball game is preserving the signal as it passes through the conduits as they do their function. This is a much more organic approach based on physics more than audiophile marketing. For example, we don't see the brand name of a product as much as we do the signal path the recorded code travels through, start to finish. It's kinda like the difference between playing your guitar vs playing your guitar on stage, with the orchestra in the hall. One is singular and the other, the whole picture and how it works together. Would you explain the drawing? From what Sonic sees: a piece of wood (MGA-cured MW/Cedar) rests on the amp housing, the toroidal transformer sits on this piece of wood, then a canopy is placed over the transformer. The canopy stands on four rods at its corners and top tuning is carried out. a. what does the transformer sit on? The wood piece, on Harmonic Springs or AAB1x1 cones or Harmonic Feet? b. what is that octagonal thing in the middle of the canopy? Isn't top tuning done with a 1/4 inch down rod? c. how does the top tune rod engage the transformer given there is a hole in the middle of the toroidal transfomer? I was hearing something like this. a) I'd make it so I could use whatever. b) Because this unit is heavy I would do things a little different. That's a threaded bolt coming up through, then I would either use a custom zinc or brass nut on top. c) I'd lay a wood plate to cover the hole. On top of that would be a wood voicing ring.